The UK's beautiful Channel Islands are known for their peace and tranquility and Sark must be one of the most relaxing places on earth. 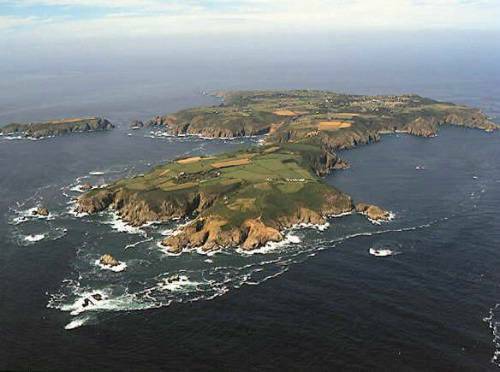 The island can be accessed by ferry from both Guernsey and Jersey and takes about an hour. It's a great place to visit for the day or to include in your Channel Island experience. Sark is like an adventure on arrival, there are no cars and visitors are collected by tractor and trailer from the ferry terminal. The Island has around six hundred residents including part time resident Carl Hester who was born on the Island and went on to win Dressage Olympic gold at London 2012 . The only way to explore is on foot, by bike, on horse back or by pony and trap. Sark is like stepping back in time and stepping back to a better time. The people are welcoming and friendly, the sense of community is clear to see and this is how I imagine perfect rural Island life should be. The main part of the Island is two square miles and this links to "Little Sark", a tiny Island via a stunning yet terrifying causeway. The island is popular with walkers (not hikers!) and those who like to watch the world go by, there are many cafes that are well suited to this form of light holiday activity. Chocoholics will love the chocolate factory on the Island which is open all year round. This is a real life "Charlie and The Chocolate Factory" experience and words can not do justice the delicious aroma on arrival. Truffles made from the local cream are a speciality and a real treat. Visitors will be delighted to know that a mail-order service is also available as bulk buying on a car-less Island can be tricky. La Sablonnerie Hotel is like a little piece of Heaven. The perfect spot a romantic break or just to indulge in some quiet time and catch up on rest and reading. The hotel has 22 rooms which are traditional and comfortable, even if you favour minimal chic you can not fail to be won over by the warmth and family feel of this hotel. The restaurant serves delicious and traditional fayre, the lamb which is farmed on the Island comes highly recommended and seafood is another speciality. It is easy to spend many hours enjoying at meal at La Sablonnerie, especially sat in the garden which is over flowing with colourful flowers and sweet perfume in the summer months.